As gentlemen of Northampton, we know you enjoy the finer things in life. Cocktails, steaks, burgers, beers and the like; however as we know such gentlemanly vices can take toll on our waistlines. So when an opportunity to work off such indulgences arises, we are inclined to grab it with both hands and it seems such an opportunity has arisen. On the 7th of March, the Blacklight Run is taking place in Northampton and is bringing more UV glow than an illegal rave in a 90s field. The Blacklight Run is 5 km run with a twist; everyone runner is showered with enough UV light to make them look radioactive by the end. The event is focused more on fun than race time, with an emphasis on shine more than speed. 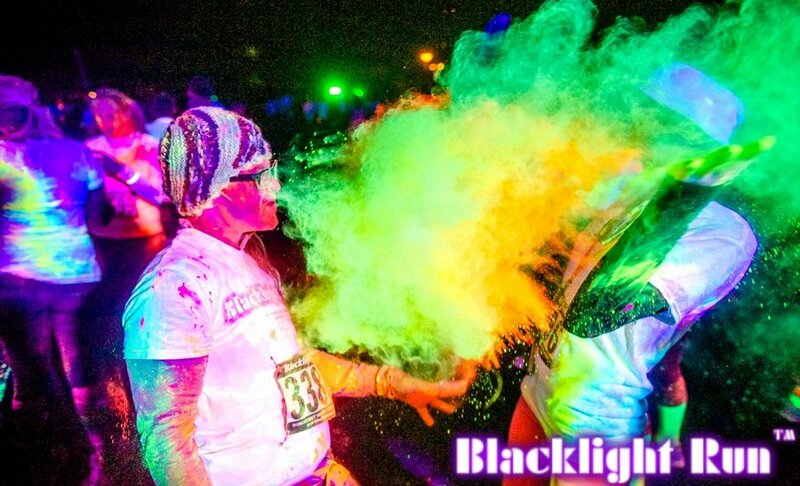 The run takes place at Sixfields where the 5km course will have 3 Blacklight Zones where runners are ‘glowed’. To elaborate, ‘glowed’ is where the fun starts. 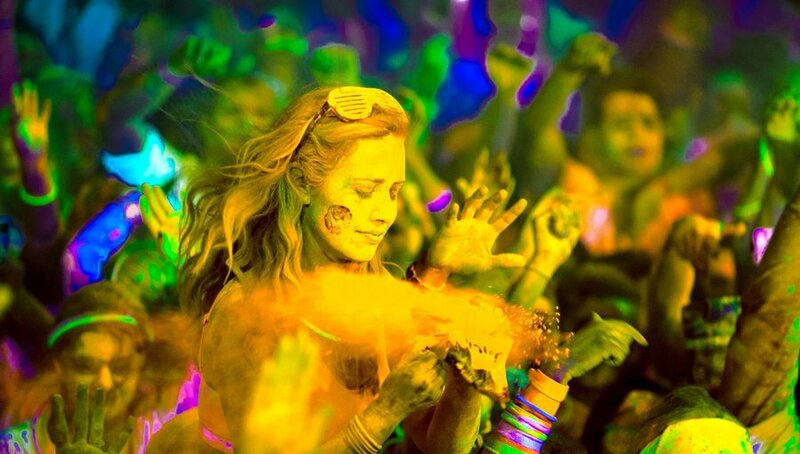 Participants are doused in a non-toxic, natural UV Neon Glow Powder throughout the race where they are lit up in the designated Blacklight areas. Whilst being glowed on the run, runners are also covered in the Glow Throws that take place at the pre and post party, ensuring that no matter what, you are shining bright at the end. Following the end of the race, participants can celebrate their glowing accomplishment at the Blacklight Run After Party. The After Party stage will be at Edgar Mobbs carpark, which will be transformed into a psychedelic festival of neon colour. The party will include more UV Glow Powder being thrown around to a mix of party beats, sponsor prize giveaways and a Blacklight Run Glow Pack. It is worth noting however gents that the After Party is an alcohol free zone, so you will need to save the champagne until later. The Blacklight Run costs £25 to participate until the 6th of February, where the price then increases to £40. The registration fee buys a Blacklight Run t-shirt, a glow in the dark tattoo, giveaways, Blacklight Run race bib, Blacklight Run glow pack, After Party admission and a charitable donation to the local charity ‘Alfe’s Cause’. The pre-run party starts at 5pm, with the run start starting at 6pm. The post run After Party starts at 6:45pm and aims to finish around 9pm. With summer on the way, we will take any excuse to work off our winter sins and the Blacklight Run is looking like a fun and interesting reason to get us running. The event has an estimated 6000 runners taking part so it should prove to be a very interesting experience. Participation is open to all so whether you choose to run with your better half, your friends or your family, it seems like a good chance to do something active and different whilst grabbing some great photos and memories. For full details, see the race information pack here. Me and this article, sitting in a tree, L-NGI-R-E-A-N–!